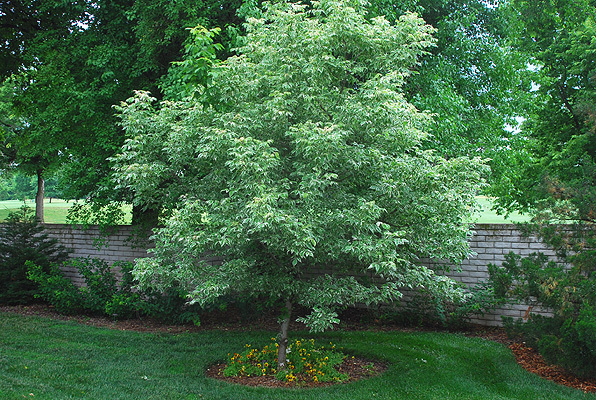 Broadleaf deciduous tree, to 20 ft tall and 15 ft wide (~7.5 × 4.5 m), rounded form. 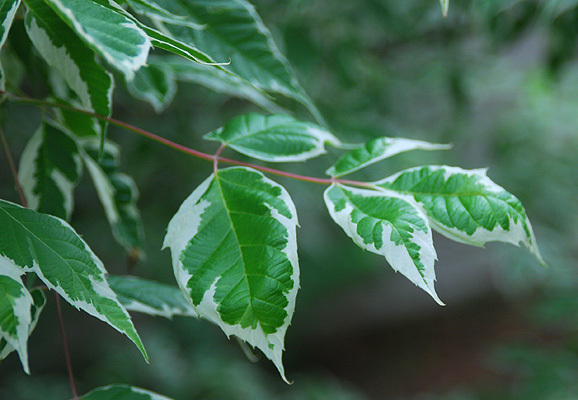 Leaves light green with white and pink variegation. Seedless-- a male clone. 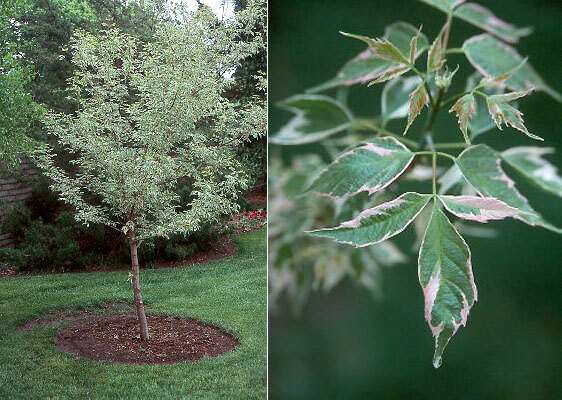 Sun for best color or partial shade; but leaves may scorch in some locations if too exposed. 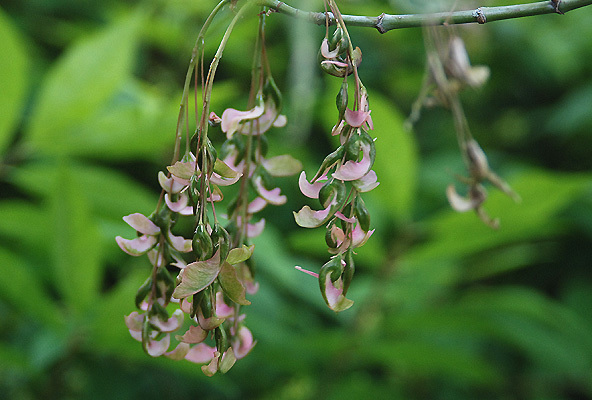 Hardy to USDA Zone 3 Developed in Holland and introduced there in about 1977, in the U.S. trade by about 1984 (Jacobson, 1996).